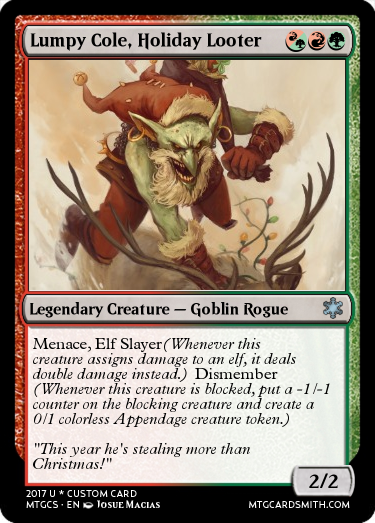 Tis the season for making magic cards. 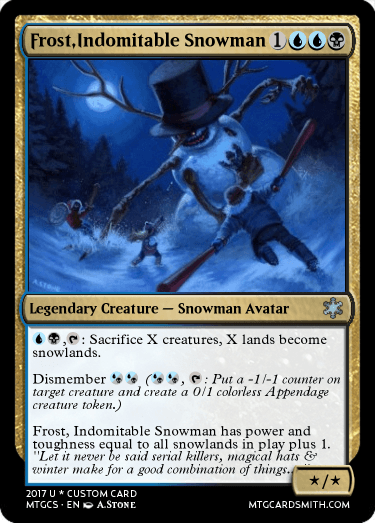 Not just any magic cards, Christmas themed magic cards. 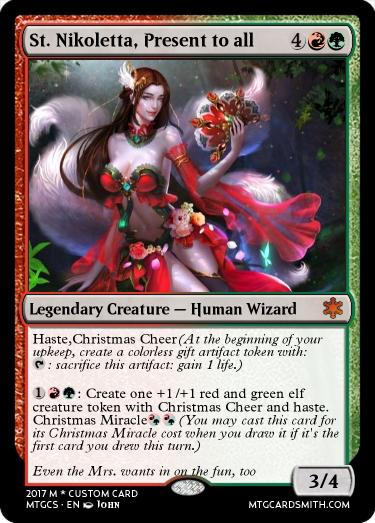 In this contest, you can create up to 3 cards that are Christmas themed or perhaps any other holiday that is in December like New Year's Eve, Honukkah, or Kwanzaa. Your birthday is not a holiday. 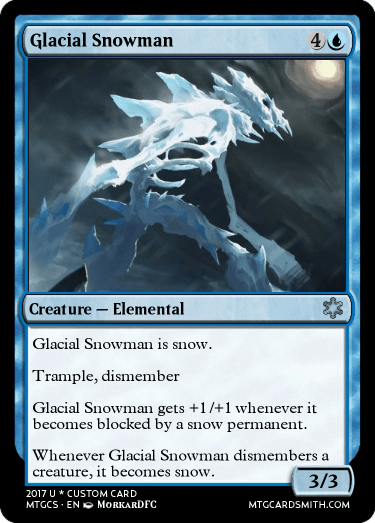 You can create up to 3 cards, and they must be new cards made in this month this year. The contest ends on the 25 of december. There will be 3 winning cards, each of the cardsmiths will get a prize. 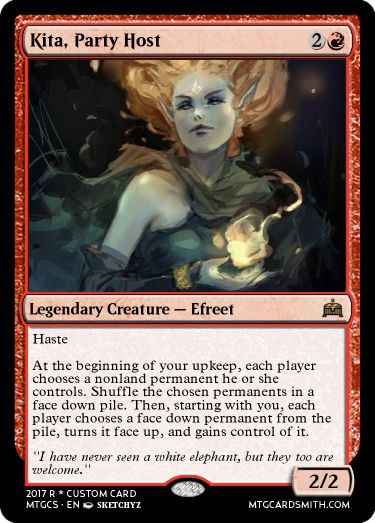 Will will be the judge and I will judge your cards on the many concepts of a magic cards such as artwork,mana cost, flavor text, abilities, p/t, etc. But as long as you have some Christmas spirit in you, you will do just fine. Let the cardsmithing begin, and happy holidays. 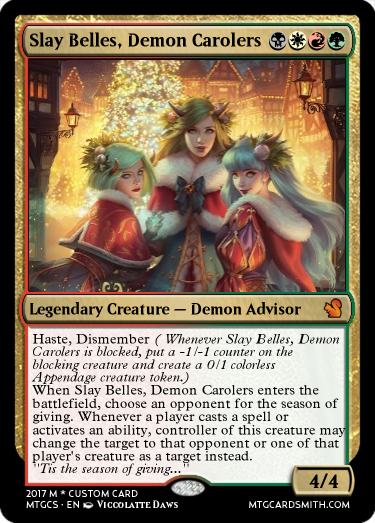 I made a card on November 30th. Is that still eligible? Here's two for now I'll have the third one tomorrow. 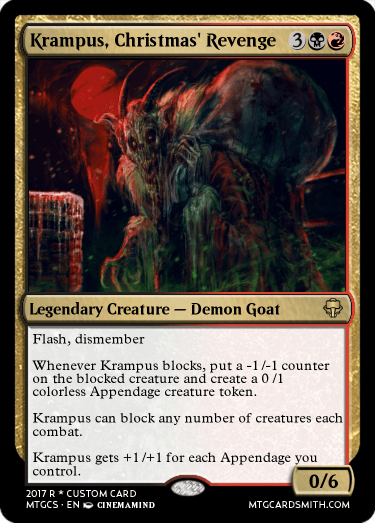 this is the correct link and final version of this card. thank you again modnation675! thank you ahead of time if you like any of the cards i made! It's called a holiday rush heh. This one wasn't made this month, but it was made at the very tail end of November in preparation for these type of contests so figured I'd through it in. This is my last entry. 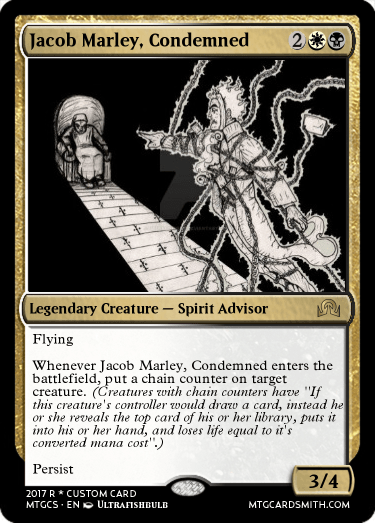 "Marley was dead as a doornail." The second ever Legendary Efreet! The first... was also mine. 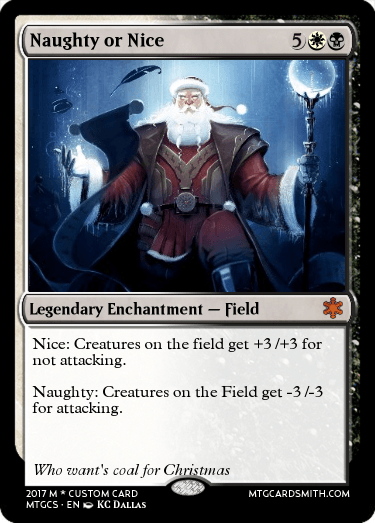 What a nice guy that Santa is, giving nerfed power 9 cards to terrible Magic players to stay competitive lol.